From what I can find, this oil is no longer on the market and only a few practitioners still make it. There is an oil called "Louisiana Hoodoo" but I don't think that compares to this formula as it is mass produced and full of chemicals and dyes. 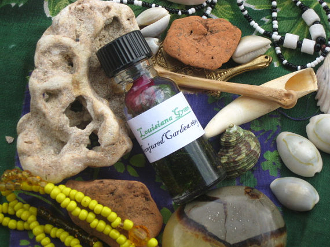 Used as an all purpose boosting and drawing oil to drive your workings home and guide them to success. It has a kick-a compelling ingredient-to get what you need. Created with oakmoss, rose, spearmint, magnolia and many fine drawing curios. It is also reputed to bring lovers closer together and allows one to hold onto their money more easily. Anything you want to keep or have-it draws it close to you. Use on green candles for luck or money and pink for love.